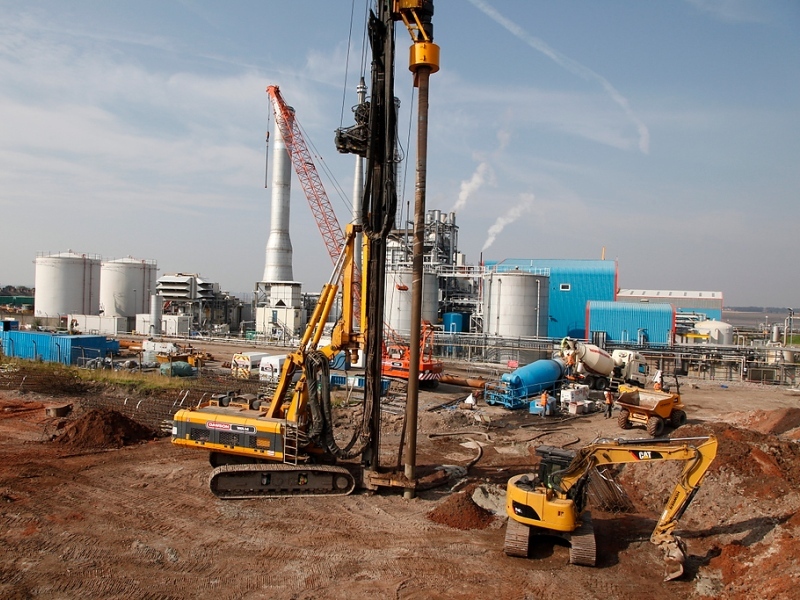 This large subcontract piling scheme was undertaken by DAWSON-WAM to facilitate the construction of a new £400M, 100MW Energy from Waste Power Station in Cheshire. 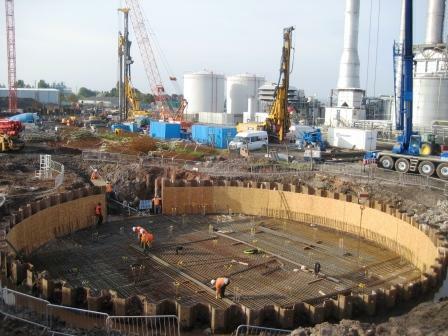 As part of these works some 2,500 bearing piles were designed and installed, ranging in diameter from 450mm to 750mm with load bearing requirements of up to 370 tonnes. Piles were installed into the underlying hard sandstone rock, with rock sockets up to 5m long, and ranging in depths up to 20 metres. Successful testing was completed to all piles and included 11 static load tests which analysed the geotechnical capacity of the pile in both compression and tension states. 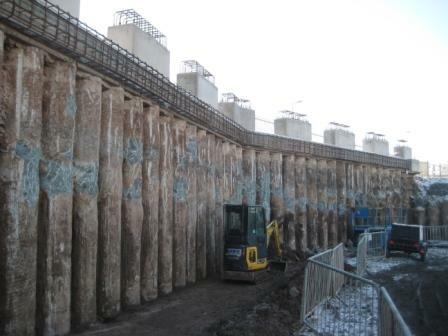 DAWSON-WAM installed 120m of contiguous piled retaining walls using 750mm diameter piles which allowed retained heights of up to 5.5m. 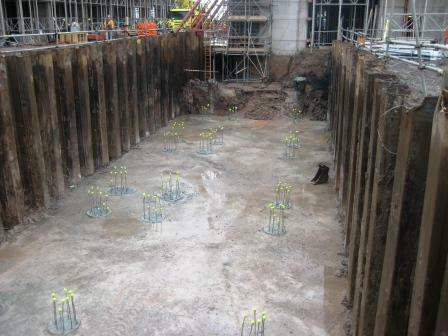 As part of the construction methodology some 5,000m2 of temporary sheet piling was designed and installed in various deep excavations which ranged up to 7m in retained height. 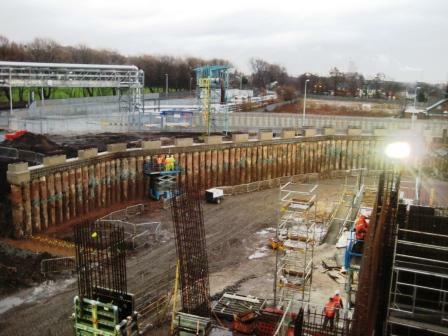 Works took place adjacent to a live railway line where over 300 piles were installed as part of a new rail sidings gantry crane development. 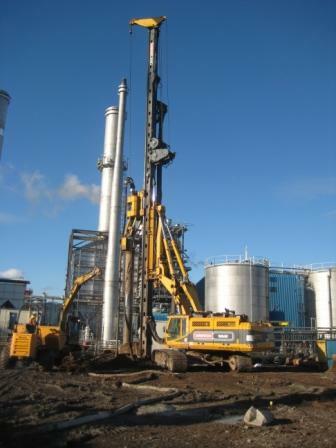 Piling also took place next to live high pressure gas mains and caustic soda mains where stringent vibration limits were adhered to and under 132kV power lines using a restricted headroom system.